The beauty of My Business Lease is – it’s all about you. Whether you’re a full time fleet manager or it’s a vital element of your wider role, we know how important it is for you to have friendly, knowledgeable and reliable support from a team of business leasing experts who understand the daily challenges of you and your drivers. We’re proud to be the only leasing company to provide British Vehicle Rental and Leasing Association (BVRLA)-accredited training for our team of over 100 advisors. We’re known for great customer service. And because many of our customers have been with us for over five years, it’s important to us that we maintain standards that you can rely on, year-after-year, when you partner with us. 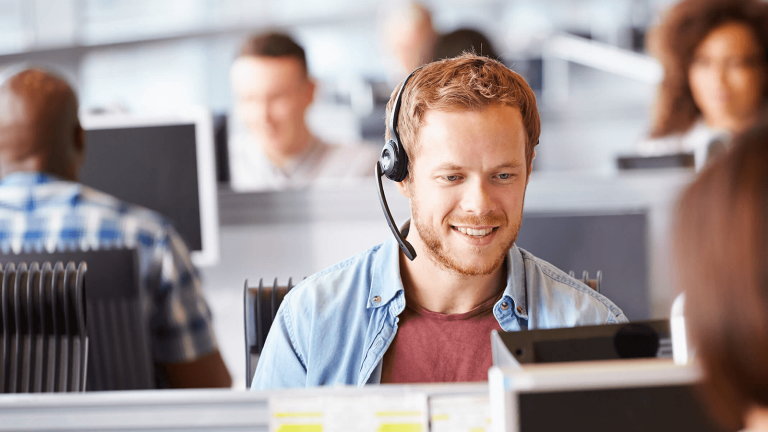 90 per cent of contact centre calls to be answered within 30 seconds. Maximum abandoned call rate less than two per cent. Issue resolution acknowledged within 8 hours and resolved within 7 working days. You can also rest assured that when your vehicles are due to come back to us, inspection and collection will happen on the same day for your drivers’ convenience. What’s more, we deliver a driver survey as part of our standard service, at handover and handback, to ensure we are monitoring and continuously improving our customer service. Every one of our customers, whether you lease 15 or 1,500 vehicles, can expect to work with an account manager who is dedicated to you and your business. Find out more below. Sussex NHS is happy to be receiving a first-class end-to-end service from Volkswagen Financial Services | Fleet’s friendly, professional and efficient team. When Dräger turned to Volkswagen Financial Services | Fleet for advice on how to run a more efficient fleet, our specialist team was glad to help.